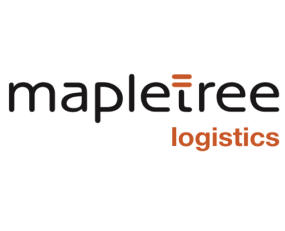 Mapletree Logistics Trust has acquired a warehouse in Binh Duong province, Vietnam for VND*725.1bn. The business entered into the conditional asset transfer agreement with Unilever International Company Limited who will lease the property from Mapletree Logistics for 10 years. The location of the warehouse plays strategic importance for Mapletree with the region acting as a logistics and manufacturing hub. Situated in the province of Binh Duong, South Vietnam, and 17km away from Ho Chi Minh City, the warehouse has connections to other parts of the country via major highways. The new warehouse will add to its three other properties in Vietnam. The property is designed with Grade A building specifications including minimum clear height of 10 metres and floor loading capacity of 30kN/sqm. Comprising three connected blocks of single-storey warehouses, the Property has a gross floor area of about 66,800 sq m.
The acquisition will be funded by debt and is expected to be completed by Q4 2018. Upon completion, MLT’s total portfolio will comprise 140 properties with a book value of approximately $7.7bn.